Much has been written about teen suicide over the years; much less can be found regarding children and suicide. In the past it was unthinkable to even entertain the thought that young children could commit suicide. Developmentally young children scarcely have a full concept of death and dying as a permanent state; this doesn’t normally develop until around the age of 10-12 years. It is recognized, however, children do voice their intent to kill themselves. Children who have serious mood disorders remain at a high risk for suicide later in life. Generally, children who are suicidal have a history of severe and cumulative stressors in their lives. In children younger than five, the home environment is a huge factor in suicide risk. Violence, abuse, deaths in the family and divorce of caretakers can all be factors that will be reflected in the behavior of the children. For the younger children, this is especially true of severe discipline and abuse as these children often feel worthless, guilty and hopeless. Children who display suicidal thoughts or acts without violent behavior are primarily depressed and acutely stressed. They may have adequate adaptive skills, but nevertheless they feel overwhelmed and hopeless. Most often these are the children who are brought to therapy. On the other hand, children who have violent behaviors and violent suicidal thoughts and/or attempts usually come from disorganized families. Children going into therapy should be given a thorough assessment and this would include a risk assessment for suicide. Children who attempt suicide are like any other suicidal person in that they want their pain to end and so no way out. Therapy can help bring alternatives and a sense of direction and control. At times, medication may be necessary to reduce the depression, or in severe cases to control psychotic symptoms. It may even be necessary to hospitalize the individuals who are at the level of risk that their safety cannot be ensured. Individual play therapy for children can be extremely beneficial as well as group therapy. It is important to help children establish a strong support network of family and friends. Schools often provide counseling for their students and this is another avenue of assistance for children. Caretakers can provide listening, encouragement and guidance to children. Helping children put words to feelings and guiding them to express those feelings in appropriate ways can aid children in their mental health. Acknowledging their struggles and fears and teaching them how to resolve conflicts appropriately strengthens their abilities to cope with various situations that arise. The copyright of the article What to Look for to Prevent Suicide in Children is owned by Cheryl Weldon, LMFT and permission to republish in print or online must be granted by the author in writing. This is a riveting fictional tale of a boy who receives a tape recorded by a classmate who committed suicide. 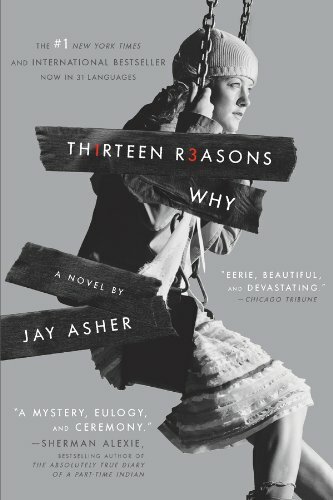 On the tape she tells him she had thirteen reasons to commit suicide and he was one of them. Walk with him as he traverses the town with the classmate guiding him to learn why.